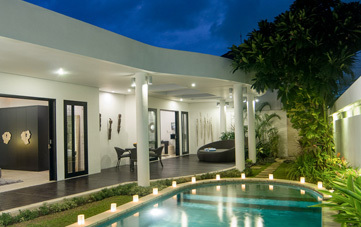 From $ 564AUD per night We have direct contracts with most villa owners. We don't add any booking fees. We are 100% transparent with no nasty surprises. 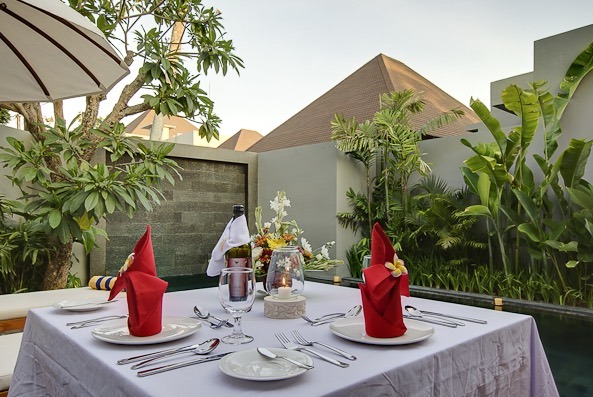 Central Seminyak location & great holiday value! Near ATM’s, convenience stores, pharmacy, supermarket, bottle shops, deli’s, amazing bakeries, patisseries, children’s entertainment, car / scooter hire and taxis. 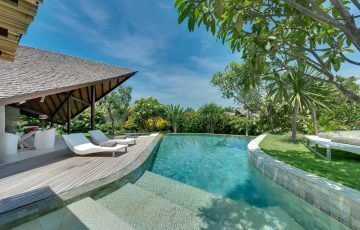 Koenokoeni Villas is a 2 bedroom Seminyak villa holiday rental & is located along a quiet lane way just off Jalan Petitenget next to the Peppers Seminyak Resort, one of the most sophisticated and sought after postcodes in vibrant Seminyak. 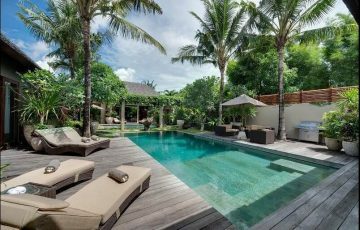 The villa is a short stroll to some of the hottest tourist attractions in Seminyak including the Potato Head and Ku de ta Beach clubs and sits on a generous 230 sq mtrs. 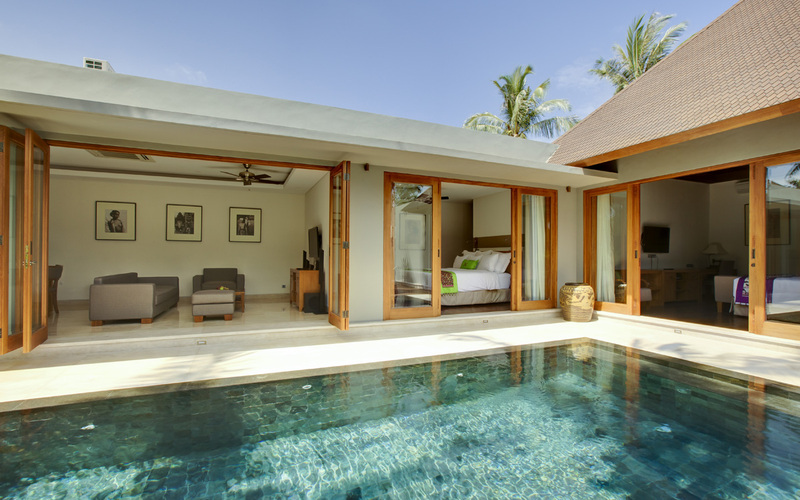 This private complex features 1,2 & 3 bedroom private swimming pool villas with premium king size beds in every room. Every possible service you will need is available to every guest and the Tenong Café situated in the complex offers Asian and western flare. 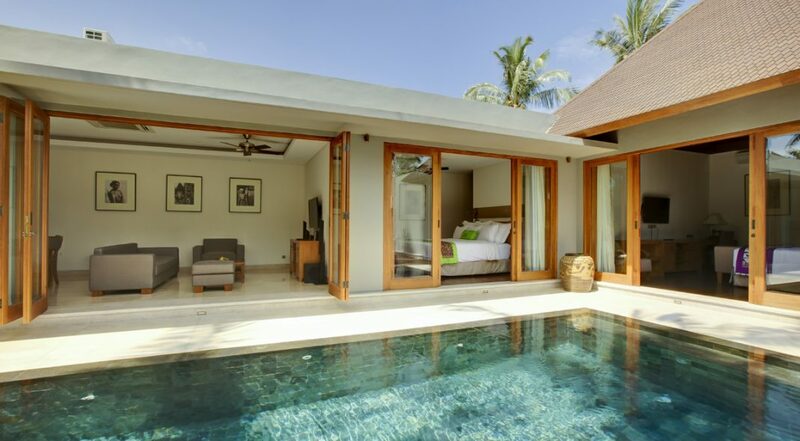 Koenokoeni Villa is built a single storey; its private pool is just waiting for to test the cooling waters after your morning walk along the Seminyak Beach followed by a quick coffee at Sea Circus. 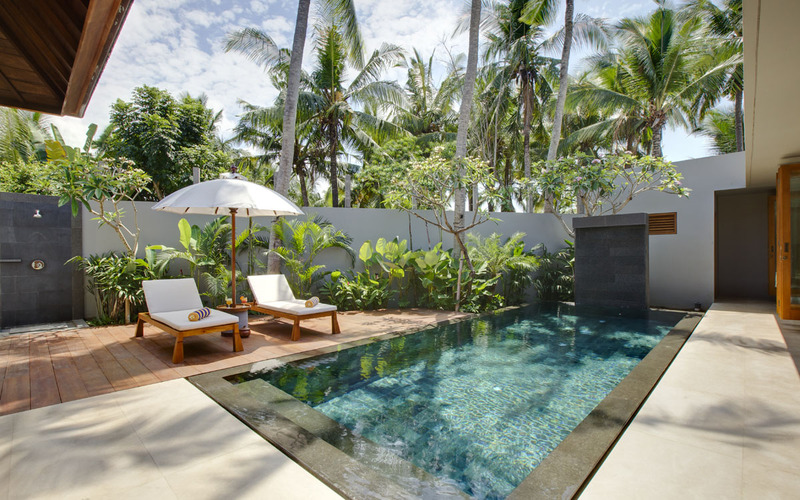 Guests can enjoy maximum privacy in the courtyard setting; the high perimeter wall at the far side of the pool is bursting with tropical plants, palms and flowers. 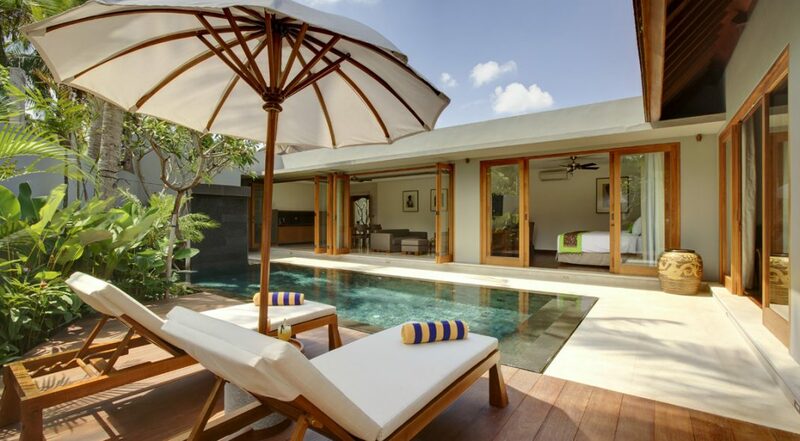 The generous timber pool deck houses stylish sun lounges, the perfect spot to soak up the sun under the shade of a parasol, freshen up under the outdoor shower and get ready for a sumptuous BBQ lunch prepared by your private chef. 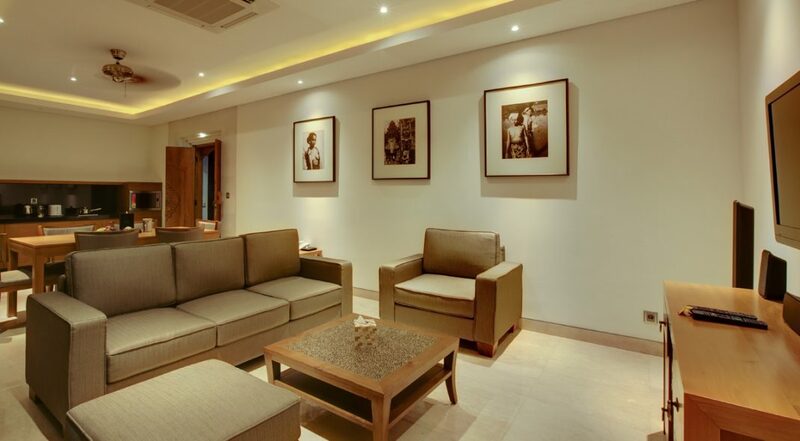 The living areas are stylish and very comfortable, should the humidity permit, open the bi-folding doors and enjoy indoor/outdoor tropical living or reside in absolute air-conditioned comfort. 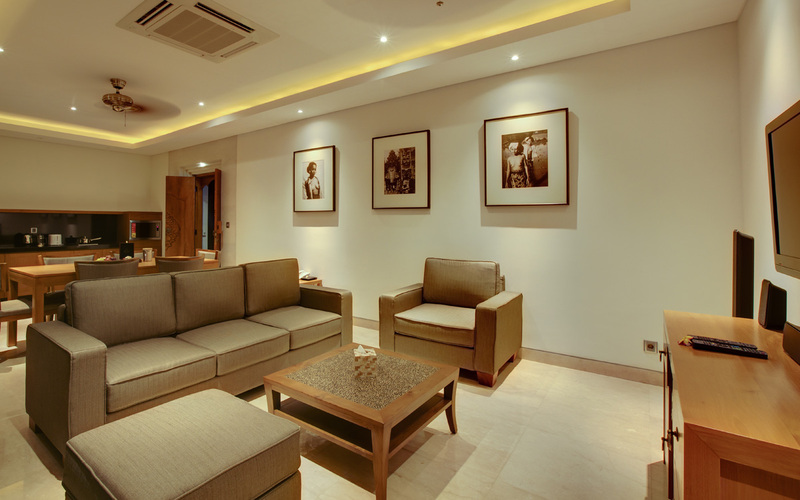 A huge 42 inch flat-screen TV sits in front of the chic sofa with large soft pillows and plenty of space for all the guests to enjoy a movie together or some live sporting events. There is a generously sized dining table and modern kitchenette with plenty of amenities and utensils. 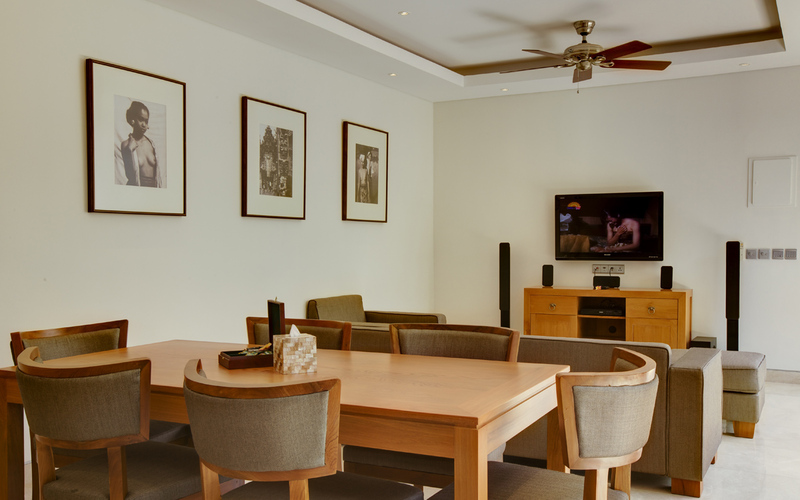 Entertainment also includes satellite TV, Bose Sound System, an iPod docking station, and excellent wi-fi throughout the villa. 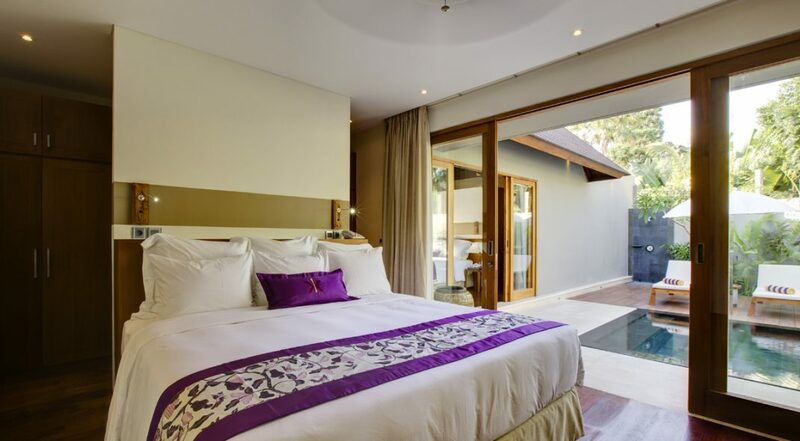 Villa Koenokoeni has 2 gorgeous bedrooms all with air-conditioning, ceiling fans, huge king size beds, built in robes and safety boxes and flat-screen TV’s with DVD’s. 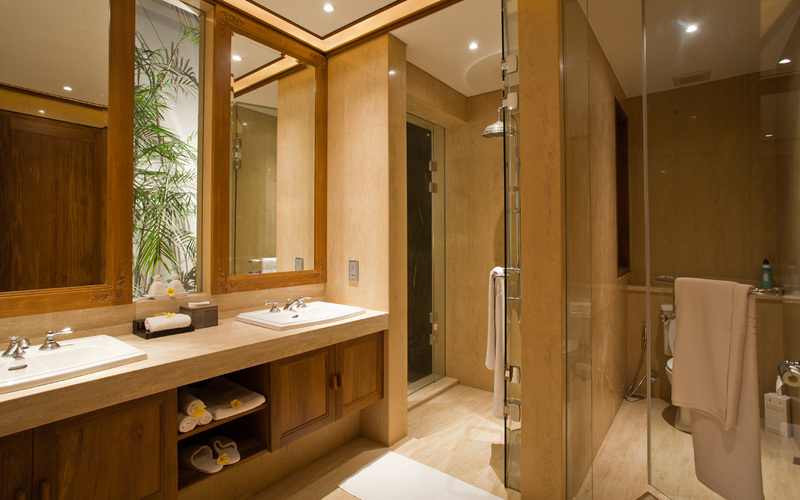 The en-suites feature soaking tubs, separate rain showers, bathrobes and amenities. The bedrooms provide an exceptional level of accommodation for up to 4 guests making this ideal for a small family or couples travelling together. 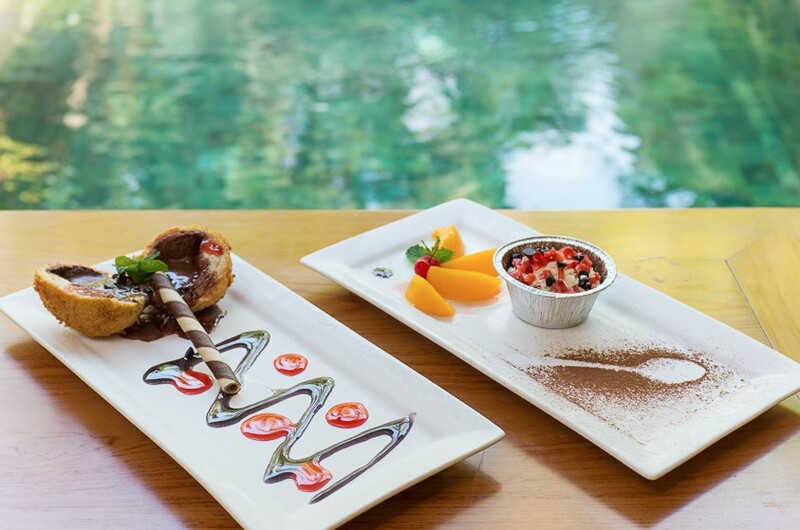 The villa will be cleaned daily, and guests can request in-villa dinning for breakfast lunch and dinner, the private chefs will happily do some BBQ or other cooking for you right in the villa if you wish. 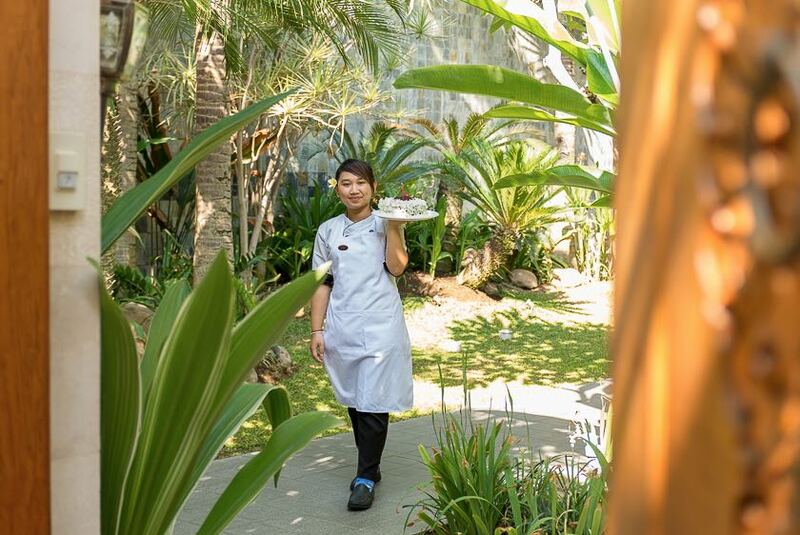 There is 24 hour front desk concierge, 24 hour security, full laundry service and a shuttle bus that will take you to Seminyak Square and other central tourist points where you can explore on foot. Other services are babysitting, in-house spa treatments and money exchange. 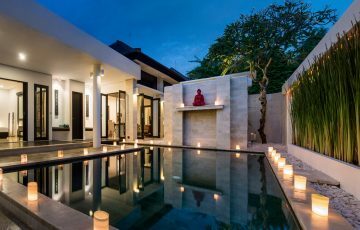 The villa is located right on the Petitenget Strip where guests can walk along Seminyak Beach and then enjoy a beachfront breakfast at La Lucciola or maybe Ku de ta. 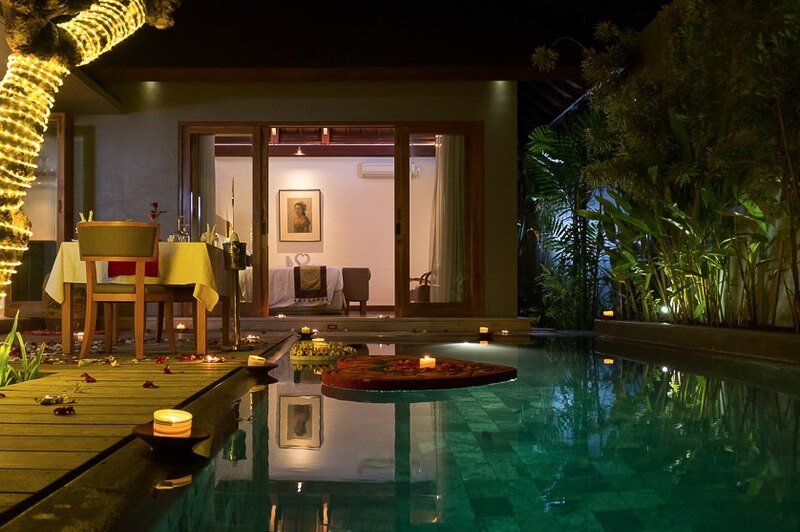 There is an absolute plethora of famous eateries and cafes just a short stroll from the villa including Sarong, Saigon, Kiln, Biku, Merah Putih, Motel Mexicola, Sea Circus, Grocer & Grind, Mirror Lounge and Club and Breezes at The Seminyak. If you love your coffee then the popular Pison. Monsieur Spoon and Livingstones is close by. For those that want to shop all you need to do is make your way to Seminyak Square where there are loads of shops, boutiques & places to buy souvenirs & gifts. 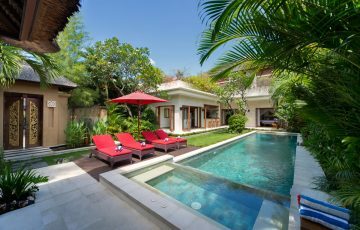 To view other 2 bedroom Seminyak Villas or more family friendly Bali Villas near Eat Street and the beach, please browse this website or contact our reservation team. 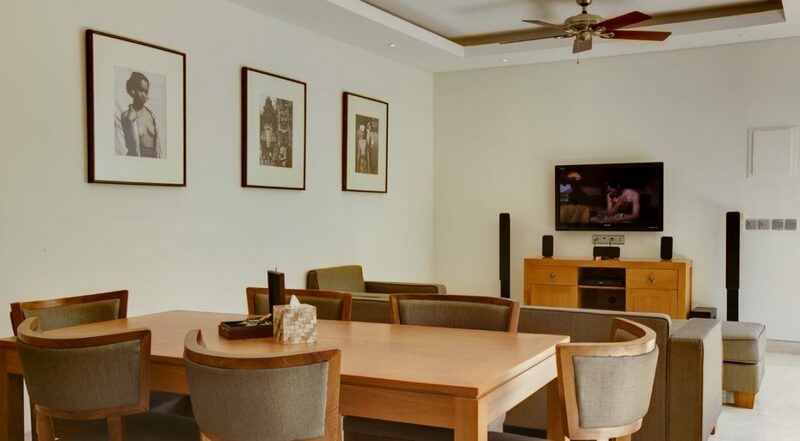 This is a popular Seminyak villa so if your planning a trip to Bali, especially during the Australian school or public holidays please book KoenoKoeni Villa well in advance. My sisters and I stayed at Villa KoenoKoeni and all I can say is “wow! !” Everything was just perfect. The villa is very private and we didn’t have to fight about what channels to watch as there was a TV in every room. We enjoyed hopping on the free shuttle and exploring the town. The staff were very helpful in suggesting places to eat and also to see. We had a marvelous time at this villa. For the price this was well worth it. Villa KoenoKoeni was an awesome experience for my small family of three. My kids loved it because they had their own room complete with a TV and everything and I was happy because I had my own space. The complimentary breakfasts were quite sumptuous and the airport transfer and shuttle services were such a great help. We loved our stay here and we will definitely be back. 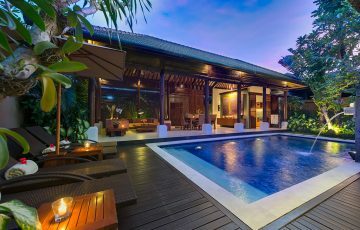 Thanks to Mark and Putu for all the help in organising this villa. Amazing villa. Friendly staff and a great location perfect for our small family. Loved the fact that everything was nearby, especially all those great restaurants which made going out for dinner at night really easy. Quiet and lovely ambiance. For the price this is so much better than a hotel - glad we made the decision to stay here. Really good value. The location was perfect as was the price. For our family of 6 I think we stumbled across a really good deal here. 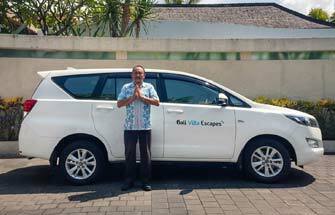 We travel to Bali a fair bit as I'm a keen surfer and when I take the kids with me I need a villa where we can go out at night for dinner easily and where they can be entertained. Villa KoenoKoeni suited us in every way. The villa staff went out of their way to make sure we had the best time - they even made sure our son got a cake for his 7th birthday at the villa!! 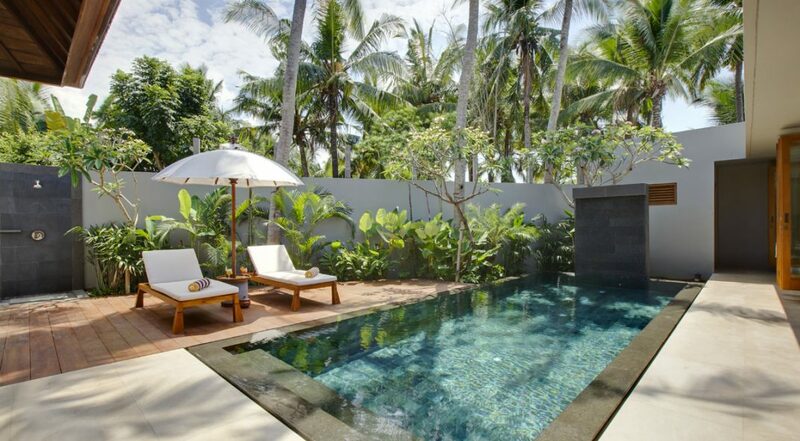 Lovely location and it's proximity to Seminyak village was really handy. We loved it here. Nice bedrooms. 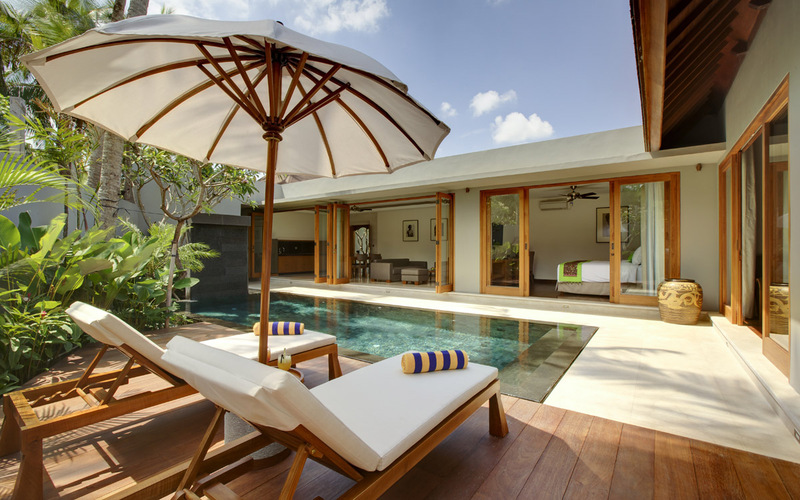 Love the layout of the vila - so bright and fresh. Great size and value for money. It was only a 10 walk to Seminyak Village area - how perfect! !